Já está online a Chamada de Artigos para um número especial da revista científica espanhola ICONO14 dedicado ao Storyworld Design. Creative perspectives for an Organic Transmedia, que será editado por mim e pela colega Beatriz Legeren Lago da Universidade de Vigo. A I14 é uma revista da área das Tecnologias da Comunicação, baseada na Universidad Complutense de Madrid, e está indexada na Web of Science. Como diz o subtítulo — Creative perspectives for an Organic Transmedia — o nosso foco são os aspetos ligados ao desenvolvimento e criação de Transmedia, ou seja, interessa-nos essencialmente discussões sobre os modos como se faz e fez ou ainda prospetivas e especulações sobre como inovar ou avançar os modelos atuais de design no sentido de obter a maior organicidade possível. O deadline para a submissão dos artigos completos é Setembro 2018, sendo a revista depois publicada em Janeiro 2019. Qualquer dúvida, contactem, e por favor partilhem o CFP abaixo, na versão PDF ou a partir da própria revista. Digitalization affects not only consumption, but also creation. Stories should not be designed only for one medium (screen), they should be created with many screens in mind. Making the most of their different characteristics will enrich the story and provide new ways to approach a fictional universe that can become pervasive through the design of organic transmedia products. As creators we can no longer focus on only one medium, we need to be aware of how they interrelate in the new media ecosystem. We must also reflect on how to apply our creative potential, either by relying on simple multimedia, intermedia or crossmedia scenarios or by taking active steps to develop transmedia. Independently of the future ecosystem in which our creations will take place, narrative production should nowadays be understood more in terms of a fictional universe rather than in terms of a closed story. 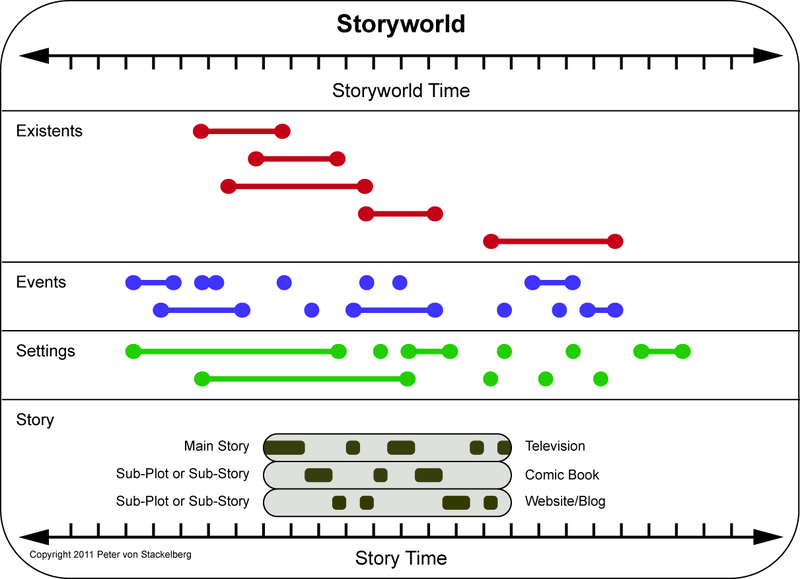 In other words, the current mix of technical possibilities, media and media channels allow, and almost demand, the continuation, extension, adaptation, or extrapolation of the story. Note how, in recent years, we have changed our own discourse, talking about narrative design instead of narrative writing. This is explained by changes in the media ecosystem, the increased demand for narrative products but, especially, by the need to create narratives that work as organic systems capable of linking different stories, multiplying perspectives, and creating universes. None of this is indifferent to production companies’ needs to create new intellectual property. The need for content to keep all the content networks active has led to increased production, but creating new products is always a risk. 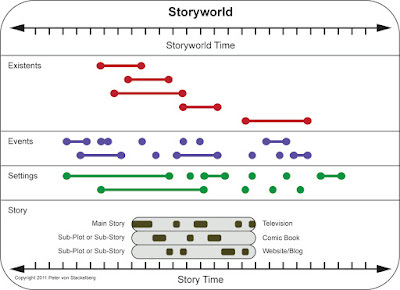 Audiences tend to prefer sequels or prequels; in other words, stories that in some way are connected to universes they already know. Spectators are quick to identify and empathise with these universes and want to access them more. This means that, increasingly, each new story can no longer be considered as just a story; it must have conditions to be expanded into new and complete narrative universes. On the other hand, we cannot forget how the world of communication has abandoned the unidirectional creation paradigm. We can no longer think about creators and receivers, we need to understand that we are communicating with other creators. In other words, we need to be aware that fictional universes don’t end when they are released; that is the moment in which they really begin, as fans appropriate them and give them continuity in their communities. Over time, continuous creation cycles mean that these fan-based manifestations will be incorporated in next creations. This monograph seeks to collect research contributions that will describe, explain and reflect on the story creation process from the perspective of scriptwriters and designers; producers and directors; and from the audience, readers, spectators or players. But that won’t be all. It also seeks to understand where these new models are taking us and to present potential new approaches that new creators can implement and develop. Theoretical perspectives on creating for different screens. Changes in the narrative construction of audiovisual works. Video game script development with virtual reality interaction. Proto narratives embedded in virtual systems. Design of storyworlds and fictional universes. Character design for fictional universes. The psychology of mental reconstruction of new stories. Papers can be submitted in English or Spanish. The Journal ICONO 14 offers a space to disseminate quality scientific works concerning basic or applied, experimental, epistemological and descriptive research on communication, its corresponding fields, and particularly Information and Communication Technologies from a communicative perspective.